Before you get out to the sword grounds, you should have all your rods rigged with buoys on and everything. Once you get out to the sword grounds and the area you would like to fish. (This is usually in a depth range of between 1100-1800 feet depending on where you are fishing). 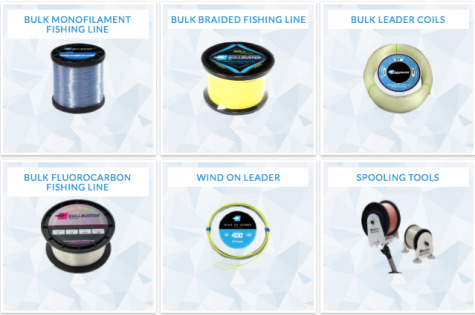 We also recommend having extra buoys and rigs already made before you get out to the grounds, this will drastically increase the amount of time you can keep baits in the water and increase your odds of catching a sword. Night time swordfish caught on Bullbuster Monofilament out of Haulover, Fl. Stop your boat and figure out which way you will be drifting depending on how fast the current is moving and the direction and strength of the wind. Set your first bait on a buoy and drive away from away from the direction that you are going to be drifting. Drop the second and third buoy out in this manner. You should have about 50 yards between each buoy while you are fishing. The closest buoy should be about 50 yards from your boat. * Tip For Telling Your Baits Apart From Each other - try using different colored glow sticks for your swordfish jugs so that you know which one is which. This will especially help if you hook multiple swords at once. If you are interested in getting started with swordfishing or in becoming a better sword fisherman take a look at our swordfishing articles. Daytime Swordfishing Techniques For South Florida - This article by #BullbusterAmbassador Double Threat Fishing Charters is a comprehensive guide to catching swordfish during the day. 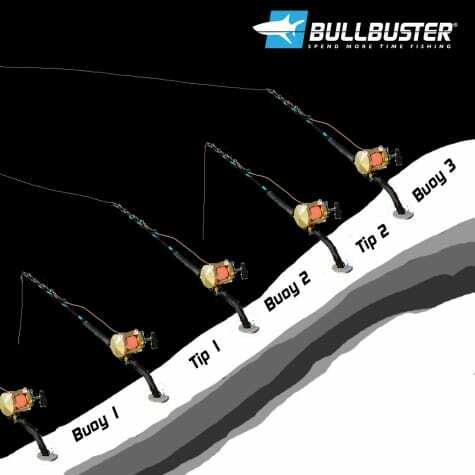 Rigging Swordfish Baits (Night & Daytime Baits) - This article prepared by the #BullbusterTeam brings the best videos on the web for rigging swordfish baits together in one place. If you need any help learning how to rig baits for swordfishing, this is the place to go. Why A Diversified Bait Box Is A Key To Success When Swordfishing - This article by #BullbusterAmbassador Team Swordacrazy talks about the importance of switching it up with your daytime swordfish baits. Grilling Up Your Swordfish (Best Videos) - Ever wondered what the best way to cook your swordfish is? Check out this article with all of the best recipes available on the web. Rhode Island Swordfishing In The Canyons - Did you know that you can catch daytime swordfish off of the canyons of Rhode Island? 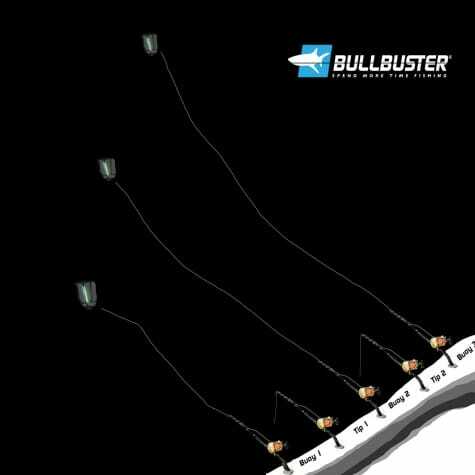 #BullbusterAmbassador uses #BullbusterBraid to do some exploring for daytime swordfish up in the Northeast Canyons.